Event description .COM – Clube de Orientação do Minho, in a partnership with Câmara Municipal de Terras de Bouro and Câmara Municipal de Vieira do Minho, will organize the Troféu de Orientação do Minho 2015, in the 21 and 22 of February of 2015, with races for Portuguese Ranking and also a Long World Ranking Event (WRE) Sunday. .COM returns to Parque Nacional da Peneda – Gerês, the only portuguese national park, concretely to the Municipality of Terras de Bouro and to Serra da Cabreira in Vieira do Minho, for two days of awesome orienteering. In these events people of all ages and genres can participate, there are courses for all, with various levels of difficulty, where you can participate individually, in pairs or in groups. If you like to be around the nature and if you like to run, put your shoes and come visit us and discover the Parque Nacional da Peneda – Gerês and the Serra da Cabreira and its postcard worthy views .COM hopes that you enjoy this event and come to the next one. Enjoy a weekend full of good moments and pleasure. Terrain description Day 1 – Middle Distance Map: Lamas – Terras de Bouro Terrain description: Predominance of open areas with some vegetation and a lot of rock and contour details. 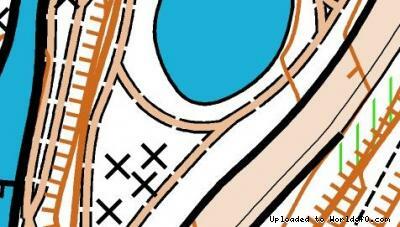 Sprint Map: Caldas do Gerês – Vila do Gerês Terrain description: Urban map with some roads, walls, stairs and some forest and park areas. 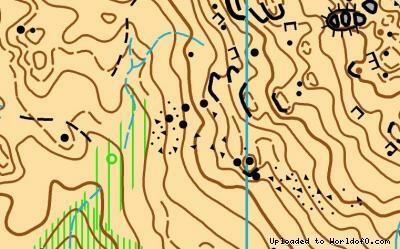 Day 2 – Long Distance (WRE) Map: Serra da Cabreira Terrain description: Forest area with some open areas, vegetation and rock and contour details. 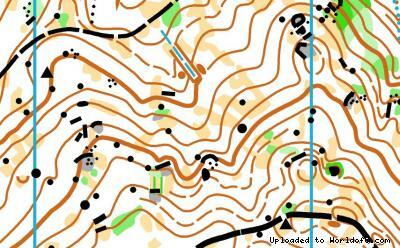 Training possibilities Day 0 - Model Event Map: S. Isabel - Terras de Bouro Terrain description: Predominance of open areas with some vegetation, some forest areas, with a lot of rock and contour details.